My heart and soul goes into every custom jewellery piece I make. It’s the only way I work. Fresh off the work bench! Jewellery should be sculptural art to wear and cherish for a lifetime. Unique. Individually hand carved. Architecturally inspired. It’s my mission to inspire individuality and bring beauty and joy into people’s lives. Inspired by nature. Created for the non-traditional woman. Creation is not a process for me. It is my quest and my way of life. The last of their kind. Style is knowing who you are and expressing yourself. 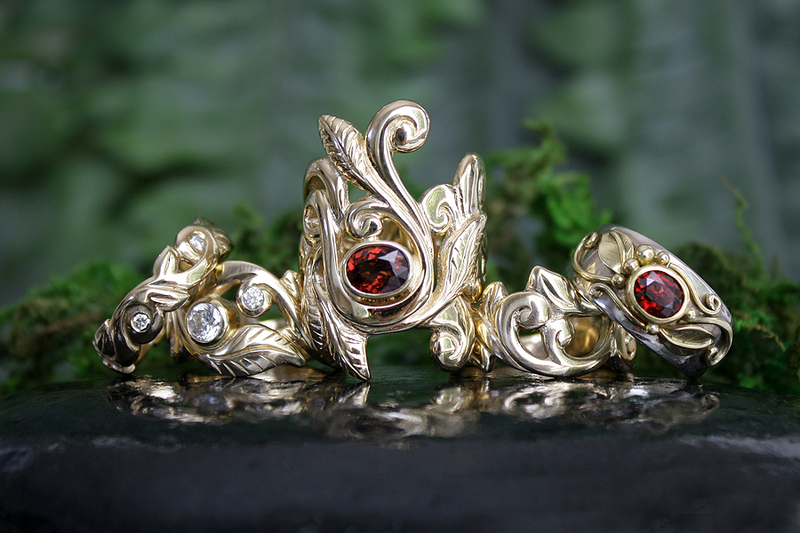 With your sentimental gold and gems, I can transform the magic of the past into a new tale for the future. Thinking about a custom piece? Let's get started on the design process for your own unique Melissa Caron Custom Jewellery. Each month I reward one loyal subscriber with an original creation. Simply provide your name and email below to be entered. As a member of my community, you'll also be the first to see new designs, sale items and the stories behind my creations. And there’s always a little surprise gem tucked in! You have been successfully entered into the draw!